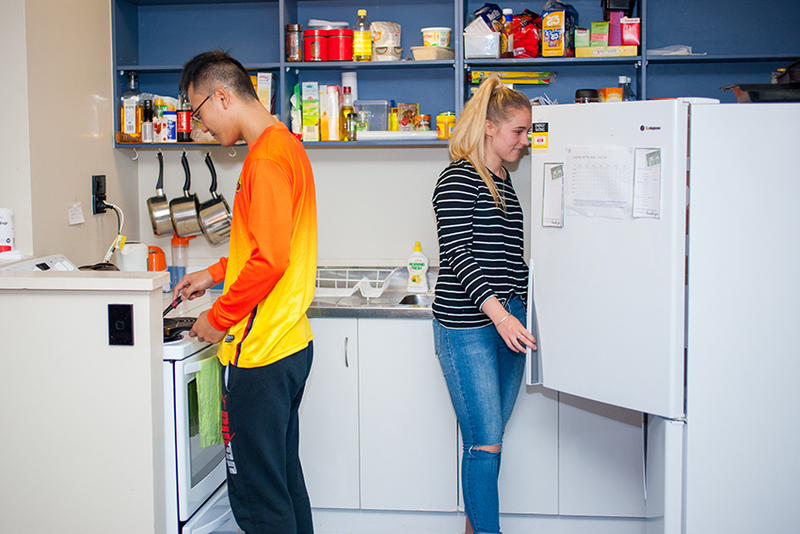 Akoranga Student Village offers shared apartment living on AUT's North Campus. 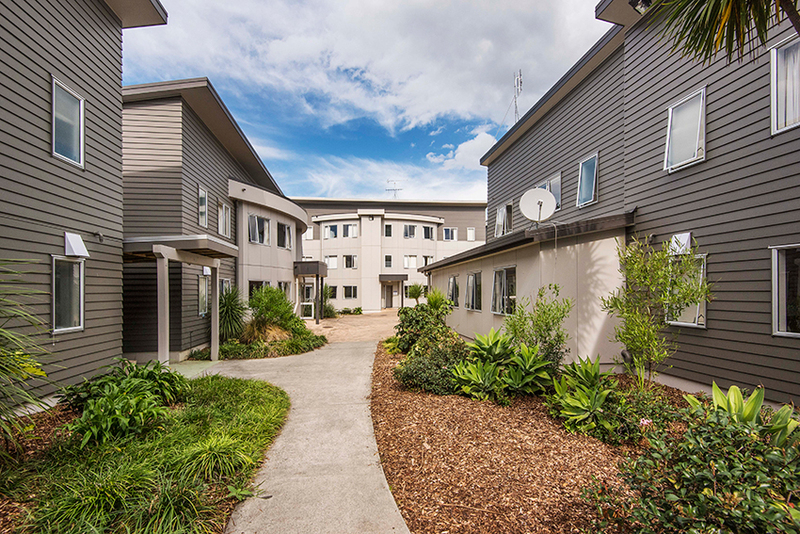 Akoranga Student Village has 40 townhouse-style, self-catered apartments housing 207 residents. A 5-minute walk to the North Campus and close to public transport links and shops, on-campus living offers a convenient, safe and social lifestyle. Each apartment is fully furnished and has 5 or 6 bedrooms, two bathrooms, a shared lounge/dining area and a kitchen. All bedrooms are standard size (3.2m x 2.5m). Every room has a bed, wardrobe, desk, chair, bookshelf and a heated towel rail. You need to bring your own bedding and linen, or you can buy a linen pack from our accommodation services team. 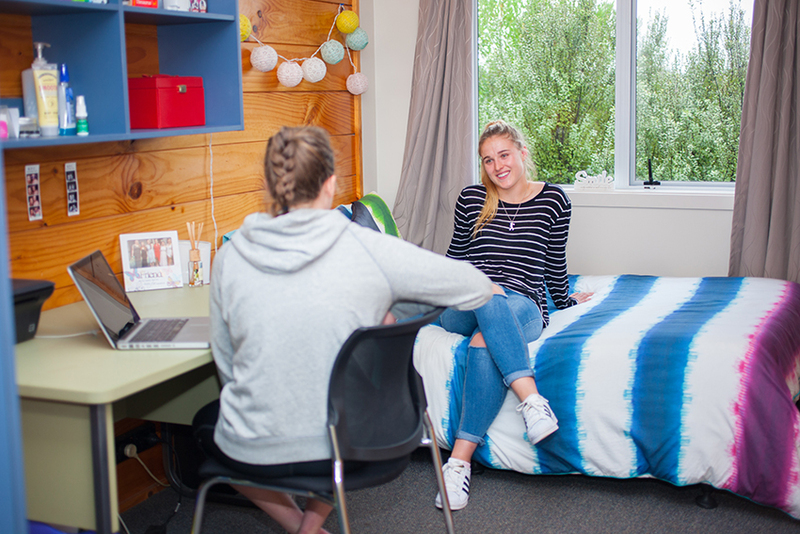 Our North Campus accommodation at Akoranga Student Village is a great option for families and groups travelling together, as well as individuals. Contact the Residential Services team for prices.